EPNet proposes a nonconventional approach to working with and analysing a social problem. To maximise our chances of success, we encompass as many techniques as possible even if this represents, as any other new path, a high-risk project. The best way to accomplish our goal is a research strategy that crosses many disciplinary boundaries to create an integrated approach and focuses on problems and objects similar to the ones we have. Notwithstanding the fact that projects that involve several different disciplines usually have problems to get their components to understand each other, we are convinced that we have developed an optimal balance, which will make it possible to work in a transdisciplinary way and to developa common strategy that will suit everyone. The PI has long experience coordinating projects including scholars from different disciplines, and all the partners involved in the project have experience of research with other project partners (e.g. Consolider Ingenio SimulPast project; FuturICT project). 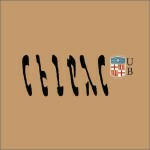 CEIPAC (Centre for the Study of Provincial Interdependence in Classical Antiquity), University of Barcelona. This group was created in 1990 with the aim of studying economic and social relations established between the various provinces of the Roman Empire. In recent years, it has coordinated a large numbers of international research programs dedicated to the study of food production and trade, and through it, to the study of the social and political relations involved. The database created by the CEIPAC during the last 22 years represents the main available dataset for EPNet. CEIPAC will be the leading institution and its members will participate in all the WPs of the project. Group Coordinator and Project PI: José Remesal. 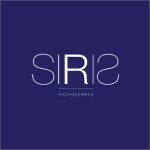 SIRIS Academicis a Spanish consulting company based in Barcelona. Founded by scholars with PhDs from different disciplines (semantics and knowledge management, political philosophy, archaeology and world history), it specializes in semantic modelling, knowledge management and transfer of knowledge for higher education and research. SIRIS as a strong experience of acting as a facilitator of transdisciplinary research, allowing researchers from different domains to fruitfuilly collaborate, both in Europe (Consolider Ingenio SimulPast; Labex TransferS) and in Central Asia (EU action: Forest and Biodiversity Governance Including Environmental Monitoring FLERMONICA). 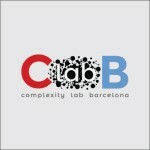 ClabB (Complexity Lab Barcelona) is a research group devoted to the study of complex networks from the statistical physics perspective. During the last decade this group has actively participated in the development of this research community at the national and international level, participating in European projects (COSIN, LASAGNE, PLEXMATH and MULTIPLEX), organizing conferences (COSIN Conference, BCNetWorkShop, Net- Works, and European Conference on Complex Systems in Barcelona next September 2013), and publishing reviews on the subject. They have been actively leading the Catalan community on complex systems. Group coordinator: Albert Díaz-Guilera. 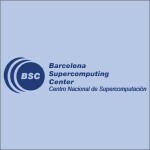 Barcelona Supercomputing Centre (Centro Nacional de Supercomputación), established in 2005, hosts Mare Nostrum, the most important Spanish supercomputer, ranked in the Top-500 list. The institution contributes to several projects focused in four main fields: Computational Sciences, Life Sciences, Earth Sciences and Computer Applications. The mission of the Computer Applications in Science and Engineering (CASE) Department is to develop new computational strategies to simulate complex problems capable of running efficiently on modern supercomputers. The parallel codes resulting from this research activity apply in the realm of Computational Engineering and Physics and Social Simulation. Collaborative projects with industry and scientific groups are the main motivation underlying all development carried out in CASE. The department is already working in large-scale social simulation through the development of Pandora framework, an open-source library designed to create social simulations able to be executed on high-performance computers, and its involvement in SimulPast project, focused on simulating past societies to understand human behaviour. Group coordinator: Xavier Rubio Campillo.